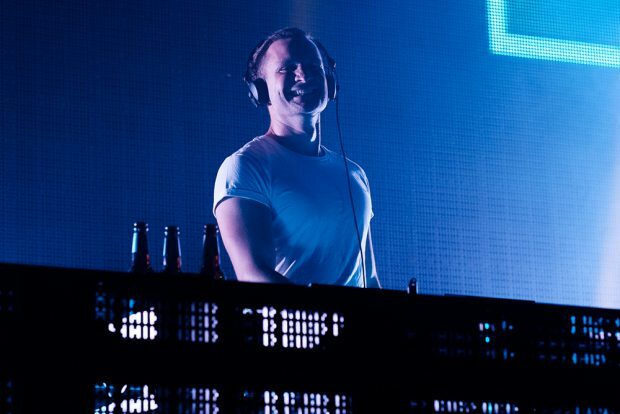 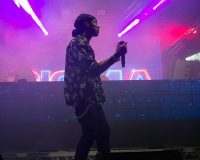 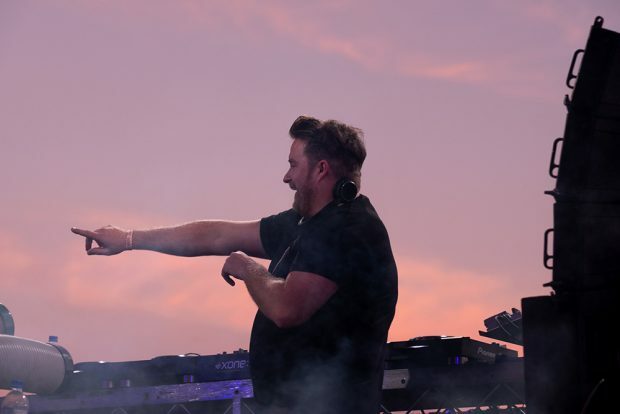 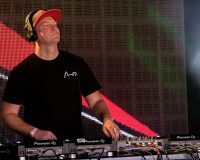 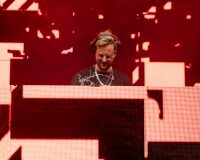 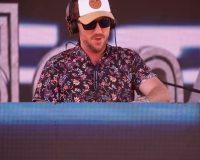 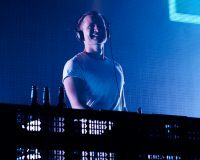 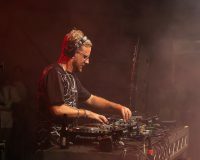 Electric Gardens has been moving from strength to strength in previous years, putting on some massive parties up at Red Hill Auditorium, featuring the likes of Fatboy Slim, Basement Jaxx and Eric Prydz. 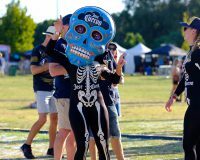 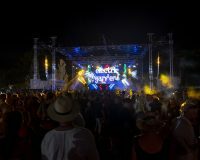 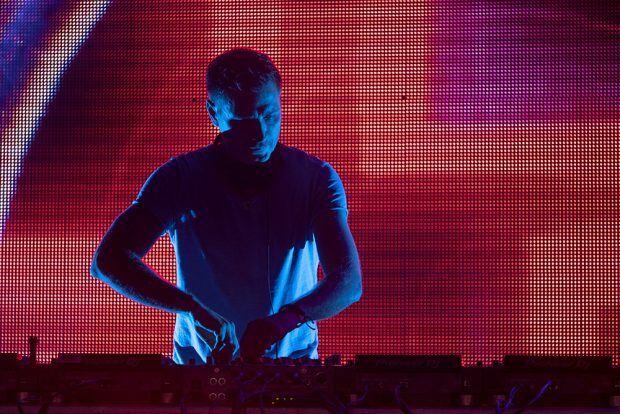 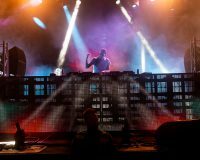 This year they decided to move to Belvoir Parklands and were all set to put on their biggest party yet – with dance music titans Underworld headlining the national touring festival. 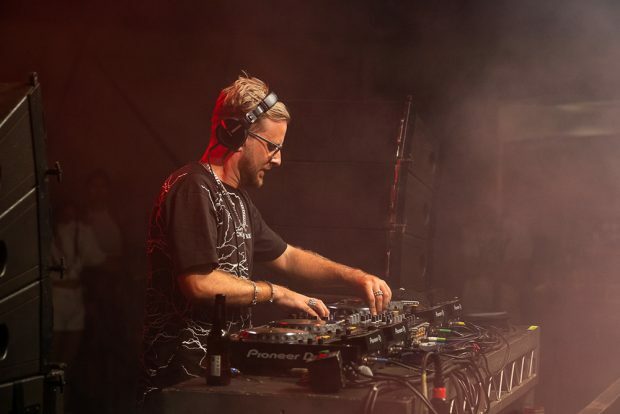 But unfortunately for everyone involved, the UK legends cancelled a few weeks ago for ‘circumstances beyond their control’, leaving a big Underworld sized hole in the line up, which let’s face it, no one short of The Chemical Brothers, Daft Punk or The Prodigy could really fill. 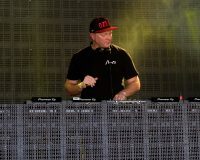 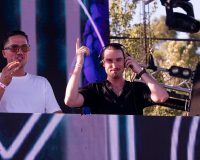 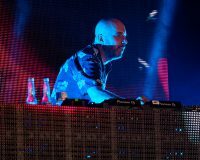 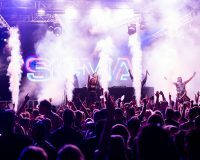 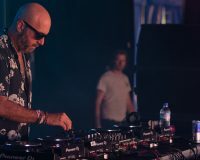 But Electric Gardens did their best to scramble for a replacement at short notice during the second week of the year – managing to secure British chart-topping drum ‘n’ bass/vocal pop duo Sigma as the new headliners – a big name on the touring circuit, but hardly comparable to the legendary Underworld. 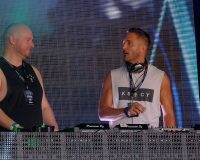 This led to a much smaller crowd than they would have been hoping, but there was still plenty of diverse talent on offer, and a decent crowd of up-for-it ravers. 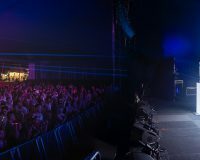 They expanded to two stages, but unfortunately it wasn’t the right year for it, and it divided the already small crowd. 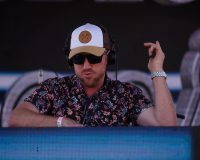 There was even a three channel silent disco with a smorgasbord of local talent, that sadly didn’t get much love. 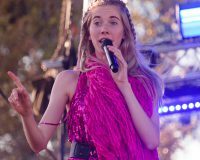 That was one of the good things about the Red Hill gigs – one stage gave it a unified vibe. 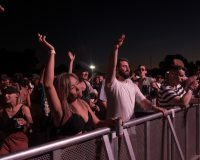 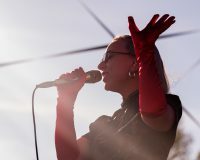 While the event did state it was taking place at Belvoir Parklands, the other surprise that outraged some, was that the amphitheatre was not used. 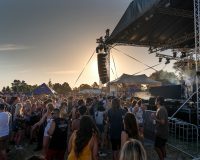 It seems ridiculous to have a gig at Belvoir, then fence off the part that makes it the most beautiful, idyllic, outdoor venue in Perth. 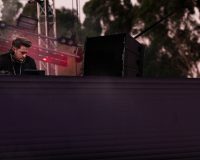 So essentially it was setup in a big field. 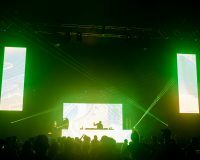 But this did make it easier to get around, and allowed them more flexibility in terms of setup and production, with one big top tent and one big stage set up adjacent to each other. 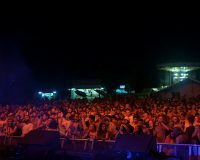 There was plenty of room to move and dance, and no queues for the bar or facilities. 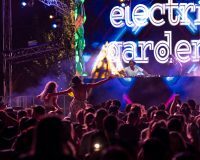 Electric Gardens get their priorities right by investing in world class production – and one good thing about being out there is they can crank it. 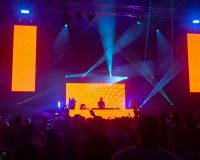 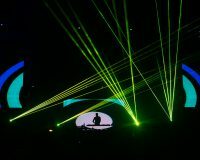 The sound was pumping on both stages and there were impressive lighting rigs, LED screens and big CO2 cannons. 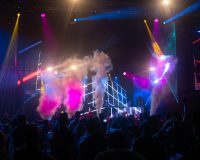 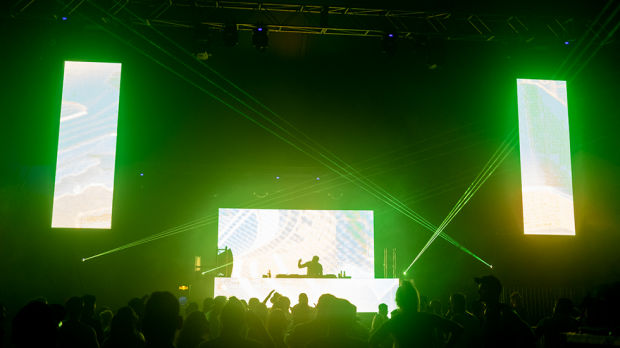 The big top tent (presented by legendary Ibiza superclub Amnesia) was particularly impressive – hosting the more rave-centric deep house and hard trance sounds – fully decked out with lasers. 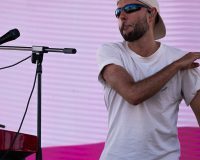 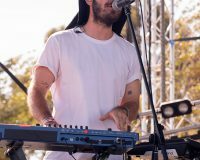 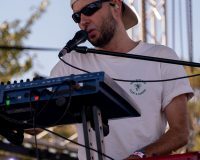 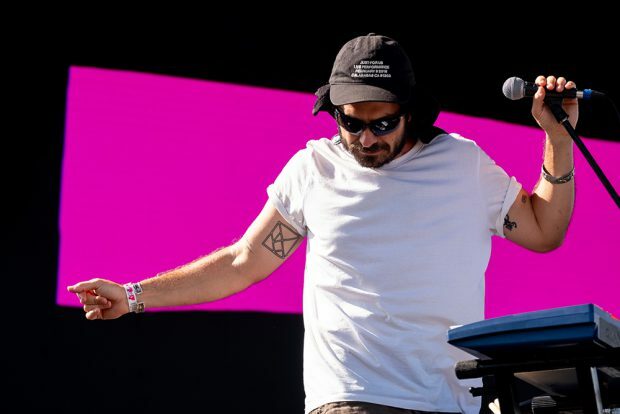 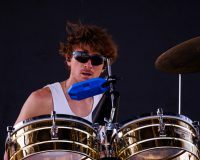 Aussies Bag Raiders and Set Mo got things off to a good start on the main stage – the former playing in their live format, as they returned to the touring circuit ahead of the release of their new album. 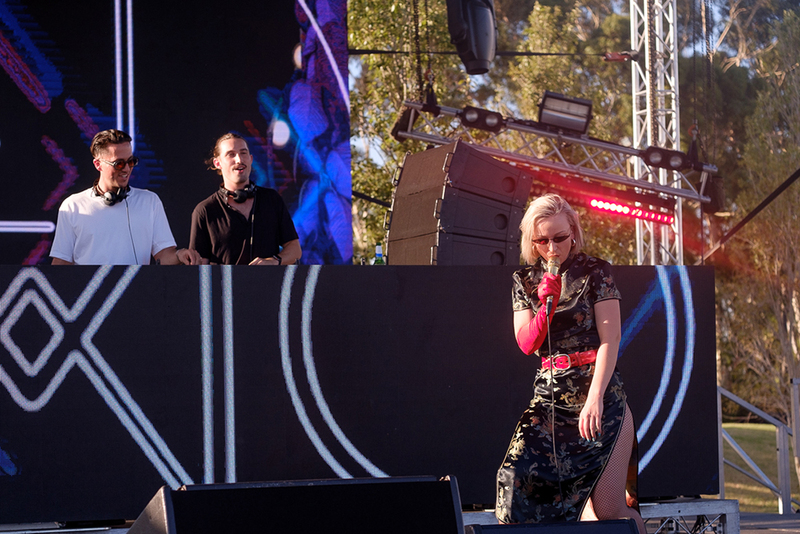 The latter DJ’d a fun mix of summer party favourites, with Asta coming out to sing on a few tracks, including their remix of Flight Facilities Arty Boy, and she was joined by Woodes for a sweet finale of I Belong Here. 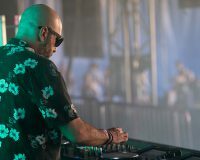 A draw card for the more discerning deep house aficionados was Tel Aviv’s Guy Mantzur who was given a generous 2.5 hour late afternoon set in the Amnesia tent, that allowed him time to really build his set – bringing those more lush, progressive sounds. 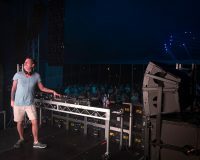 Unfortunately for Guy, the smaller numbers and heat meant he had a fairly small crowd in the massive tent, which led to a lack of atmosphere, and made it hard to get fully immersed in his set. 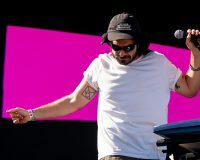 He would have been awesome later on in the amphitheatre, or in a club, but most of the crowd weren’t feeling it, and were drawn to the more upfront sounds emanating from the main stage. 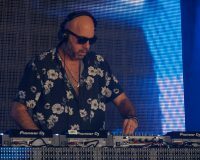 Nevertheless, he took those that stuck with him on a real journey, weaving walls of melodic distortion, climaxing with Epika, his superb collaboration with Roy RosenfelD. 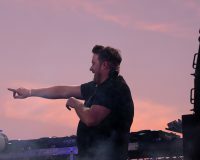 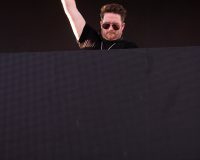 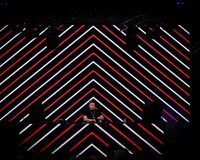 There was a crowd gathering at the main stage for Eats Everything who didn’t waste time dropping straight in with his signature brand of tough, tech-house that is as solid as he is. The Bristol big man pulled a big crowd who were craving something more banging, and he guided them through the sunset with his driving beats. 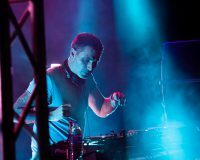 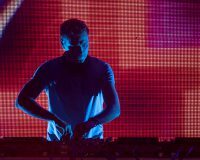 Sean Tyas is a current star on the world trance circuit – and he could see what the crowd were wanting in the big top. Taking over from Mantzur, he let the music stop briefly, and then went in hard, picking up the tempo and pace immediately with some soaring trance and techno. 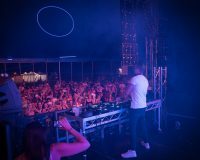 Backed by an impressive light show that ramped up as the darkness fell, the big top started get a real party vibe going, as the crowd numbers swelled. 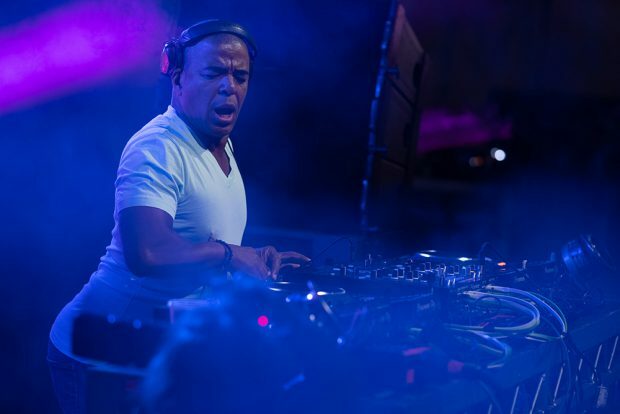 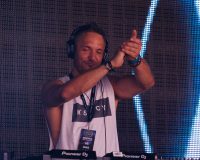 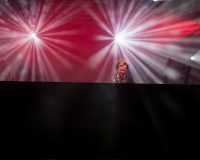 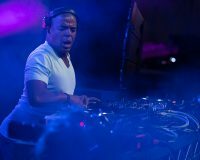 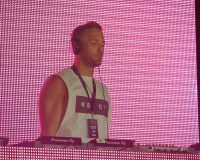 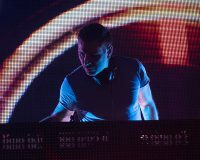 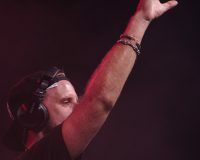 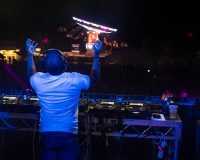 Eats was winding up his sure and steady set on the main stage, before handing over to the legend Erick Morillo. 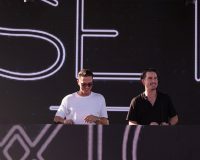 The two seem friends, sharing a few laughs, with Eats joining Morillo a few times to dance and do shots. 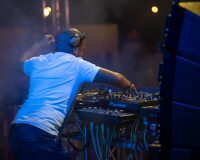 A true legend, Morillo IS house music. 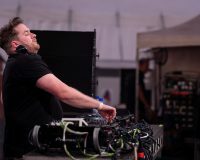 He lives it, breaths it, feels it. 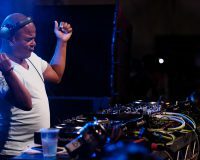 It comes out of every pore in his body as he plays, dancing and teasing the mixer, like he’s making love to the music. His energy is infectious and he always has things under full control – able to set the crowd alight with a deft mix. 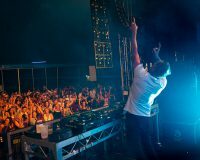 Australia’s favourite adopted Dutchman MaRLo is known the world over as an elite, trance purist. And for those true believers that love those hard, old-school rave vibes, his closing set in the tent was heaven. 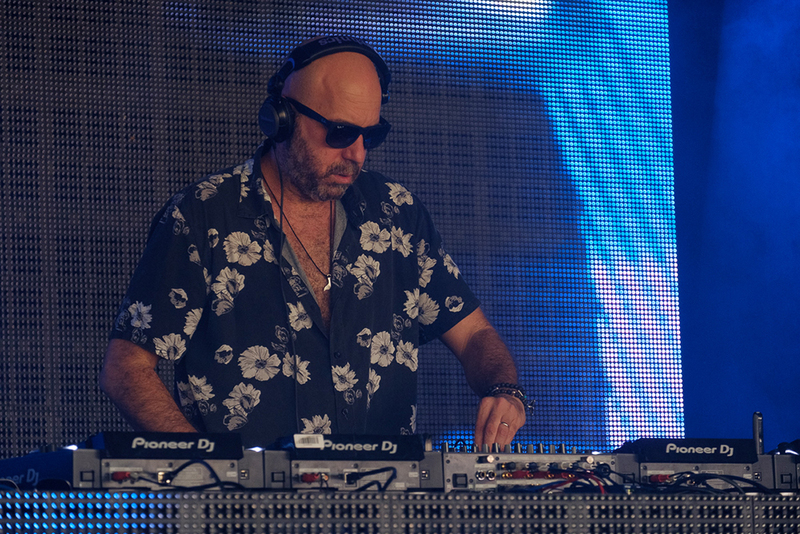 Others seemed more keen on Morillo’s low slung, swinging, Latin house vibes. 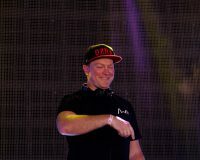 He even got on the mic to tell us what a good time he was having, and despite not being the biggest crowd, there really was a great feeling with everyone getting into the music. 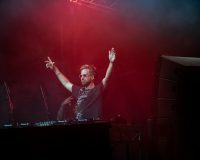 With effortless style he mixed in the Kings Of Tomorrow classic Finally to much applause, before bidding us goodnight. 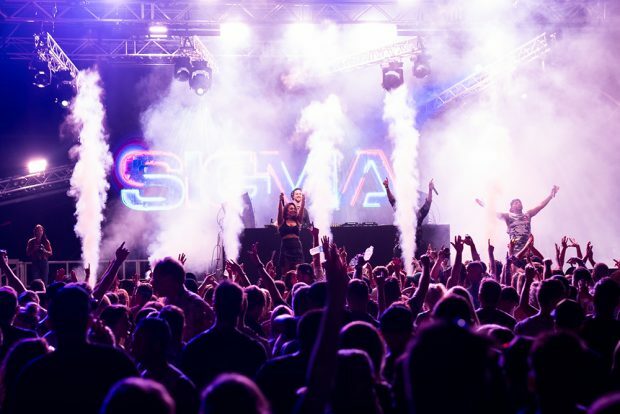 Sigma are now a finely-honed touring machine. 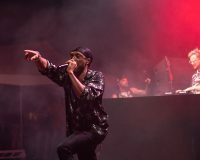 Their music is perfectly suited to festivals – big beats, catchy hooks, live vocalists – they were a great way to end the night. 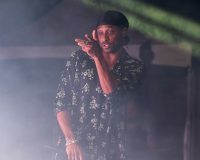 While they are a production duo, Cameron Edwards was representing tonight in a scaled down live show, basically just mixing his own tunes, while the entertaining MC, male singer, and Zoe Kypri with her strong, soulful voice, took turns taking the lead to deliver all their hits, that feature a wide range of elite vocalists. 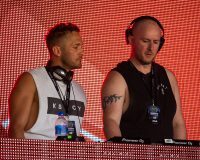 They’re an act that built respect and a following with their quality drum ‘n’ bass productions, then moved into more accessible chart-topping singles with big vocal choruses. 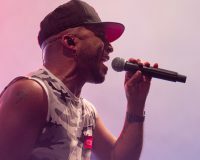 But live, they deliver a good balance of sing-along, hands in the air moments, and hard hitting, bass-heavy, jungle and dub sounds. 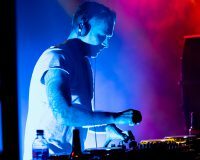 There’s more depth than their saccharine singles may otherwise indicate. 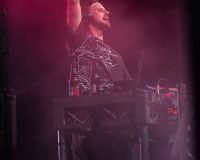 Singles like Higher and Find Me (complete with the video featuring Stranger Things’ Millie Bobby Brown) came thick and fast, mixed up with big DnB remixes of popular tracks. 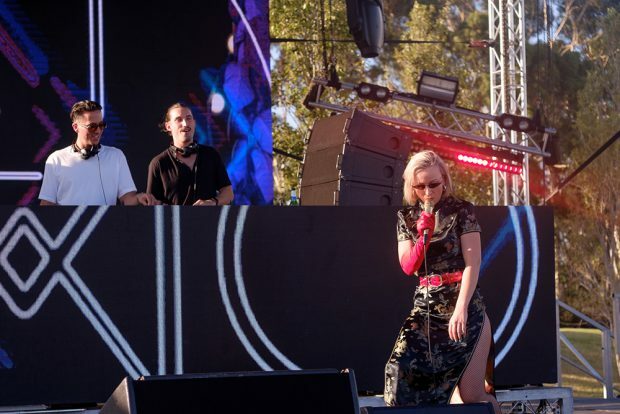 They were having so much fun they ran a little overtime, but managed to squeeze in their massive Kanye sampling tune Nobody To Love before a finale of hit single Changing featuring Paloma Faith, again amply handled by Kypri. 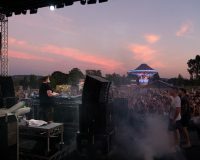 Not the big event it could have been, but still a whole lotta fun, thanks to some veteran acts delivering, quality production and great crowd who were happy to make the most of it. 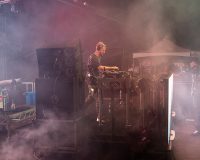 Now can someone please get Underworld to come?